Like the mystical village of Brigadoon time almost stands still. Sierra County today remains much as it was over 100 years ago when gold was discovered in November,1849 in the North Fork Yuba River. The Washoe and Maidu Indians, early gold miners, loggers and ranchers have left behind, for us to enjoy, a magnificent window into the past. Founded in 1852 and named for the Sierra Buttes, Sierra County is located in the northern section of the 'Golden Chain Hwy', Historic Highway 49. Leave the shopping malls, crowds of people, long lines and traffic behind. Meander through time while dining, shopping and lodging in comfortable historic buildings in the quaint towns along Hwy. 49 in Sierra County. From craggy peaks, water falls and untamed rivers of the Sierra Buttes to the largest alpine valley in North America, dropped by the same faulting that raised the Sierra Nevada, you will find every imaginable recreational sport you desire. Mother Nature provides an exceptionally beautiful backdrop for each season. If recreation and relaxation are what you're looking for, then Sierra County will fulfill your every dream. It was a direct result of the discovery and continuous search for gold in California, that the development of Sierra County began. As the roads improved, people began to travel to the more primitive environment to enjoy the beauty and wildlife. In the 1800's a surge of interest arose from the city people for recreation and relaxation as a temporary relief from the frantic pace of urban life. By 1926 many popular resorts were constructed for the purpose of fishing, swimming, boating and lodging. Bassett's Station was built over 125 years ago at the intersection of Hwy. 49 and Gold Lake Road to provide a rest stop and supply point for travelers and still continues today. Named for Major Wm. 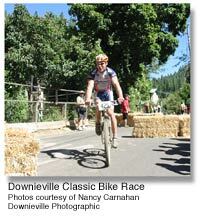 Downie, leader of the first gold discovery party in Sierra County. 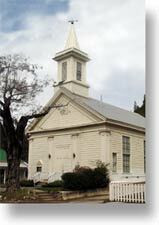 Founded in 1849 as a gold mining town, and now the County seat of Sierra County. By May of 1850 Downeiville had 15 hotels and gambling houses, 4 bakeries and 4 butcher shops. 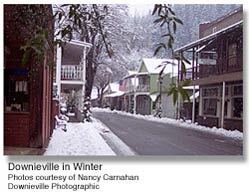 By the mid 1850's Downieville was California's 5th largest town. Nestled in a tree-lined canyon alongside the North Fork Yuba River and the Downie River on Hwy 49. 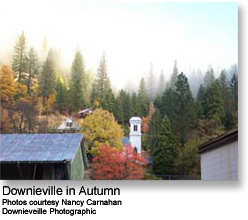 Downieville is considered the least changed town in all the Gold Rush towns in California. Walk the narrow streets and wooden sidewalks as you browse through unique gift and antique shops. Visit the many historical landmarks. Dine in historic buildings along the river while you enjoy a wealth of history at every turn. Established as a mining town in 1850. By 1852 Sierra City had 2 large buildings, a bakery shop and several gambling houses and saloons. Miners were busy retrieving gold from several tunnels in the nearby Sierra Buttes. In the winter of 1853 many buildings were crushed by an avalanche of snow, forcing the inhabitants to rebuild at the present lower elevation. Today it is easy to imagine yourself discovering gold in one of the many mines, or helping to construct one of the first buildings or tending bar at one of the saloons as you revisit time in Sierra City. 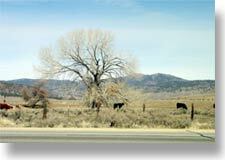 The Sierra Valley ranches, se ttled in the 1850's consist of the communities of Sattley, Sierraville, Calpine and Loyalton. They provided dairy products, hay and cattle for the Western Sierra County mines and the Comstock Mines in the 1860's. One of the finest agricultural regions in California in the 1880's. 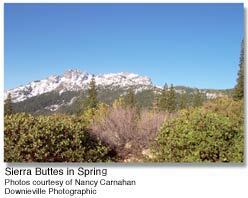 Since the mid 1850's cattle raising and farming along with lumber was the main industry in the Sierra Valley. Today the lumber industry is still an important aspect of the economy and culture. 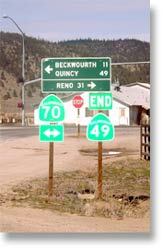 You can also see remnants of both early ranching and logging in these quaint towns. Originally known as Smith's Neck and changed to Loyalton because of the sentiment of loyalty to the Union Cause during the Civil War in 1863. In 1901 Loyalton was incorporated as a dry town, the size was set at 50.6 square miles. It was the second largest city in California. 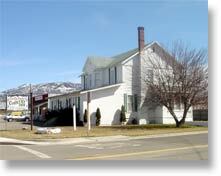 Today, Loyalton is the largest city in Sierra County. 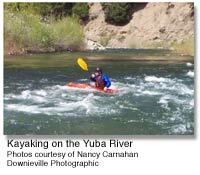 Gold Panning, rafting, boating, camping, waterskiing, hunting, hiking, mountain biking, cross country skiing, snowmobiling, snow shoeing, swimming, fishing, sailing, jet skiing, site seeing, horseback riding, OHV areas. Vinton at the northern most point of Hwy 49 and Graeagle north of Sierra City on Hwy 89 (go north on Gold Lake Road at Bassett's) are both located in Plumas County. 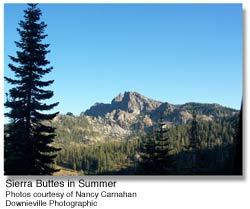 One of California's best kept secrets, Plumas County offers visitors rugged canyons, clear lakes, meandering streams teaming with trout, meadows filled with wildflowers and forests equal to any in California.